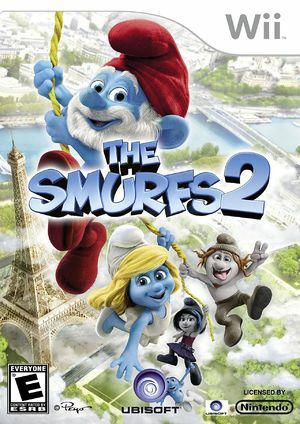 The Smurfs 2 is an action-packed adventure platformer that provides Smurfs fans of all ages with the opportunity to dive into the magical Smurfs Village and relive iconic moments and key environments from the feature film. Players assume the role of a Smurf and immerse themselves in an interactive adventure through the movie's enchanting environments including New York City and Paris, and expand their movie experience into worlds exclusive to the video game such as The Arctic Tundra and The Lava Jungle. Text is not readable if the Texture Cache Accuracy is set on "Fast". To fix the text, set the Texture Cache Accuracy on "Safe". Refer issue 10705. The graph below charts the compatibility with The Smurfs 2 since Dolphin's 2.0 release, listing revisions only where a compatibility change occurred. This page was last edited on 20 January 2018, at 21:08.